Welcome to The Tuesday Slot, this week we welcome another new contributor Wilma Miller with her “Nightmare on Timeshare Street” and her Buyer Beware article. First we have a quick round up of European news. October is now with us and in the next few months the annual maintenance bills will be arriving, this will also bring in many calls from “companies” offering cancellation of contracts and claims against timeshare resorts. The warning is beware the fantastic offers these will come out with, from the guaranteed cancellation and the promise of no win no fee claims. How long has this company been operating, can they actually have done what they state in the time they have been working? If they are offering “no win no fee” claims, how are they going to claim? In order to do the claim do they want money upfront to cancel the contract first? Are they going to sell you another product? What lawyers are they going to use if taking the case to a Spanish Court? Can these lawyers be verified as genuine and registered with their relevant bar associations? If you need help in answering any of these questions, then use our contact page and Inside Timeshare will point you in the right direction. The Courts of First Instance in Maspalomas began the month with another ruling against Anfi, in his ruling the Judge of Court No 4 declared the contract null and void, this was on the basis that the contract was longer than the stipulated maximum of 50 years as required by Law 42/98. The judge also awarded double the deposit paid within the cooling off period as this is also in breach of the law, in this case the German client has been award over 66,000€ plus legal interest. Last month ended with a bang for Canarian Legal Alliance with a total of 18 sentences being issued in various courts ranging from First Instance to High Courts, there were also 6 provisional executions of sentences whereby Anfi has been ordered to deposit over 184,000€ with the court. These provisional executions of sentences will speed up and ensure prompt payouts for the clients. It would also appear that Abogados Lopez another fake law firm has become active again, with calls to existing CLA clients telling them that they have taken over their case from CLA. Beverley Pritchard is another new new name along with Ricardo Sanchez. 0044 1291 440 500 which is a Chepstow code, although when trying to call this number back a recording states the number does not exist. If you are an existing client of Canarian Legal Alliance and receive a call from any of the names or numbers above including the original name of Hope Brugge, do not pay them or give them any information, they may sound credible, but are a complete scam. Now for our Tuesday Slot. We first encountered Diamond Resorts while on vacation June 2017. Their people knocked us off our feet with free tickets to a show, and switched us from the Stratosphere to Diamond’s Polo Towers Suites. They even picked us up in a limousine! All we had to do was attend a 90 minute presentation. It’s easy to catch people off guard while on vacation. Looking back, I believe the presentation room was designed to be noisy and crowded. The 90 minutes turned into hours. I am 78 and my husband James, a Vietnam Army veteran, is 75. As the hours wore on we became more tired and more confused. The presentation began about 11 a.m. and lasted all day. James has health issues. He was not feeling well after several hours had passed, but the sales agents just kept on. It did not even register when we mentioned his health issues. Sales agents Ninmar N and Diana C were vague on how the program worked. They were vague on the cancellation procedure, and the payment procedure. We felt pressured into signing and we were not allowed enough time to read the documents. They showed us the documents as they explained what was in them, but did not give us a chance to actually hold or read them before we signed. They hurried us through the signing process by placing papers in front of us, telling us what it said, asking us to sign. We later received a copy. They had said we were eligible for a senior package. We’ve learned there is no such thing called a senior package. We did not know the maintenance fees would be so high. We did not even know we had purchased a timeshare. Jim kept asking if this was a timeshare. They never admitted it was. We bought 3000 points. They charged $14,000 to two Diamond’s Barclaycard. We were not aware we had opened the cards, much less that the cards had been charged. 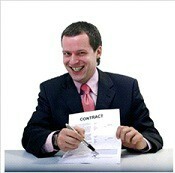 We repeatedly told the sales agents we were not interested, but they kept insisting we sign the contract. After the signing process, they placed the Diamond Resorts U.S. Collection Public Offering Statement in our packet. We were not given an opportunity to even see what it was, much less read it. They said no one ever reads it. When we looked at it later it said right on the front – THE PROSPECTIVE PURCHASER SHOULD READ THIS REPORT BEFORE SIGNING ANY PAPERS! In our opinion, the biggest deception of all was when they told us the payment would be $80 per month with no interest and Diamond Resorts would invoice us for the payment. This is in complete contrast to what has since transpired. Instead of one payment of $80, there are two payments, making it double the price they told us. We received two Diamond Barclays Bank Credit Cards in the mail. As I mentioned, we were not even aware the cards had been opened. One Barclaycard was in my name and the other in James’ name. Neither agent mentioned credit cards during the presentation. They said we had to fill out an application to see if we would qualify. We never received a copy of the application. To add insult to injury, the credit cards had no interest charges until now. Now the two payments are too much for us to afford. After we received the high maintenance fee bill and credit cards, we went back for our orientation August 2017. We told them several times that we wanted to cancel or sell the timeshare. We said we wanted out. When we told one person, they would get another person to talk to us. They tried to sell us an upgrade even when we said we could not afford what we bought! We talked to several sales people, but they ignored our concerns. It was obvious to us they did not care. We never saw our original sales agents. Despite being told it was an orientation, we received no training or explanations. We would have a personal representative or coordinator assigned to us. They said this several times. We never heard from anyone, much less a personal representative or coordinator. How much vacation time we would get. We kept asking the sales agents but never received an answer. They bypassed every question. We received 3000 points, but when we asked how we could use them, they gave us a confusing run around. When we asked about maintenance fees and other fees, they avoided answering our questions by changing the subject. We have sent a letter saying we cannot and will not make payments. We received a lot of collection calls. We sent a letter asking that the calls be stopped. They did stop. We had a high credit score before this. We stopped making payments around March. We received a form saying they would settle for a lower amount. They were talking about the Barclaycard. James has been diagnosed with cancer. It’s hard enough growing older without having to go through this. How many seniors will be harmed and harassed before lawmakers and Nevada regulators do something to stop this? We fear it will never stop, so the best we can do is write about our experience, hoping it will help others. When I submitted this article to Inside Timeshare, I was told about this member sponsored Diamond Resorts Members’ Facebook page. I wish I knew about this Facebook before we got ourselves into this. It’s been a disaster. This article was written and submitted by Wilma Miller. We invite Diamond Resorts and Barclays to respond. We publish member accounts, good and bad, in an effort to warn the general public to know what they are signing and what they are buying. That’s it for today, remember to do your homework before engaging with any company that has contacted you or one that you have found on the internet. It must also be pointed out that just because a company advertises in a prestigious publication, the radio or the TV, this does not mean they are genuine, these are sold advertising spaces, the marketing companies that sell them do not check on the authenticity of the company advertising. They will also publish a disclaimer, that they are not responsible for the content or authenticity of the advertiser. If in doubt, use our contact page and we will be pleased to help you with your checks. 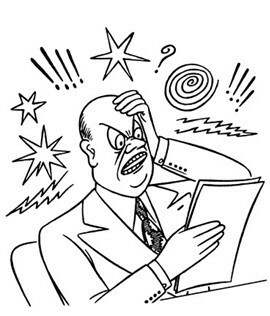 Welcome to this week’s Letter from America, it is yet another “Nightmare on Timeshare Street” by Irene Parker involving yet another Veteran, this story is on that will make your blood boil! But first for some news from the Spanish Courts and more disasters for the timeshare industry. Anfi were yet again on the receiving end on the 18 September, They had to deposit into the court the sums of 48,735.82€ and 16,222.68€ in respect of sentences issued in the favour of clients. In two days that brings the sum Anfi have had to payout to a massive 184,650.14€. On the same day, the Courts of First Instance in Masàlomas issued another sentence against Anfi, at the same time in Tenerife, Silverpoint had two sentences issued against them. In all the total awarded is a massive 215,000€. All contracts were declared null and void and all clients received back double the deposit paid which was in breach of the law forbidding the taking of payments within the cooling off period. One of the sentences against Silverpoint was issued by the High Court in Tenerife. In another case which was held last week, the Judge at the Court of First Instance number 5 in Arona, decided that the case would not be sent for a full trial, he decided that as the case was in flagrant breach of the timeshare laws, he would issued the sentence in due course. On 19 September that sentence was issued, the contract with Silverpoint was declared null and void, with the client being awarded more than 23,000€. Good news also came from the Courts of First Instance in Maspalomas, The judge presiding over Court Number 3 had several pre-trials this month, he then decided that these cases need not go to a full trial and he would issue sentences in due course. That now make Courts numbers 1, 3 and 4 no longer sending cases for a full trial, this is obviously good news for the clients bringing the cases as it now speeds up the judicial process. All these cases were brought on behalf of clients from none other than those determined lawyers at Canarian Legal Alliance, so congratulations the lawyers and their clients. One of our readers contacted Inside Timeshare to inform us that an ex sales Rep from Silverpoint had cold called them regarding getting them out of their Silverpoint contract with a view to gaining compensation. How did our reader know he was an ex-sales rep, simple, he was one of those that sold them the Silverpoint in the first place! The Caller stated he was from Harlow Consultants SL, so another new company has appeared. Now for our Letter from America. Fact – Many of the 584 families are financially devastated by their decision to buy a timeshare. I have listened to many tears. Fact – All the complaints sent to the Nevada Real Estate Division and the Florida Timeshare Division, DBPR, have been met with the above defenses. Other states have taken complaints seriously, based on the volume of complaints and the similar nature of the complaints. Fact – There are several repeat offending sales agents, with three to six identical or similar complaints. Fact – Not one of the 584 families knew their timeshare had virtually no secondary market. Fact – A significant number have been ripped off by a timeshare exit company. Opinion – Lawyers with no timeshare experience have no business taking a timeshare case. Fact – The dollar amounts of many complaints lost to timeshare exit scams pales in comparison to the dollar amounts lost believing timeshare sales agents, according to member reports. One resort has accused me of creating complaints. In other words, if the member had not talked to me, they would not have had a complaint. In the case of Mr. and Mrs. Gomez, this is true. I’ll explain. We will not name the timeshare company, hoping they will help the family, but the Gomez family said they would like their story told. Mr. Gomez is 71, Mrs. Gomez 63. They are Arizona residents. Like George Yamada, from last week’s article, Mr. Gomez is a Vietnam Veteran, disabled from the effects of Agent Orange. Mr. Gomez is 100% disabled. Mr. Gomez earned two Purple Hearts. He has been informed his pancreatic cancer is terminal. Mr. Gomez called a week ago and said he was struggling with a $28,000 timeshare mortgage. After listening to his comments, I concluded there had been no deception. A timeshare mortgage is just like a home mortgage in that you can’t go to your home mortgage lender and say, “I can’t afford this.” Mr. Gomez said he had switched some old points into a newer category of points. At the end of our conversation Mr. Gomez mentioned his Stage 4 pancreatic cancer. I advised him to request a release based on medical hardship. That night I woke up with one of those lightning bolt 2 A.M. moments. I called Mr. Gomez first thing the next morning and asked WHY had he switched from the old points to the new? He said it was because his resort had gone bankrupt. I know for a fact that it is not mandatory to switch from his old points to the new. Mr. Gomez went on to tell me the sales agent in Las Vegas knew he had pancreatic cancer because he had explained to the agent why the four hour presentation was so tiring. He was suffering the aftereffects of his treatment. “They said our maintenance fees were $2,200 for 2018 and would go up to $3,000 January 1, 2019 if I did not convert, but if I upgraded to the next loyalty level I could turn in 10,000 points to pay $2,000 of the $2,500 maintenance fee,” he added. This is nonsense of course. Mr. Gomez’s maintenance fees will go up more than $2,500 because of the additional points he purchased. Maintenance fee invoices have not been sent, but I seriously doubt the increase in his prior points will increase this dramatically. I own the same points. So yes, you could say I created this complaint. Without my informing Mr. Gomez it was not necessary to switch from one set of points to the new, he would not have been aware of the deception. Only at the highest loyalty level can maintenance fees be paid with points (at pennies on the dollar). Whether this complaint is resolved or not resolved, it doesn’t change the turmoil this timeshare has caused the Gomez family by believing they had to transfer from one program to another. Mr. Gomez has been accepted for Hospice. We encourage member accounts of their timeshare experiences, good or bad. We hope consumers and the industry will listen to the voices of those who wish to be heard. So there we have it, another “Nightmare on Timeshare Street”, this is probably one of the worst that we have yet come across, it makes you wonder if these sales agents and company directors have any moral bone in their bodies. Inside Timeshare received the following email from Wayne C Robinson, Author of Everything About Timeshares, Before, During and After the Sale. We asked him if we could publish and he was more than happy for us to do so, please share this on you facebook pages and other social media. I am not sure how to react when Mike Flaskey, CEO of Diamond Resorts International, views my profile on LinkedIn. But, whatever his reason, I would like to share a few words with him, now that I have his executive attention. My purpose in writing the book is not to attack companies such as Diamond to gain something in my own corner. I am merely pointing out areas that I feel require your attention to improve on customer relations. These areas have certainly been highlighted with the multi billion dollar lawsuits against Diamond Resorts, and the level of customer dissatisfaction from the people who befriended and trusted your OPCs, sales reps, and VLOs. Remember, your members are the people who provided you the privilege of representing a company that has so much potential. Rather than spend millions of dollars hiring fancy lawyers to help improve on customer service, you hire them in an attempt to destroy a woman in her 70s who is spending the remainder of her life helping families get their lives back on track for the damage your company has allegedly caused. Were you aware of 83 year old retired Marine Raymond Mori, a two time Purple Heart recipient who has been battling with Diamond Resorts with a serious heart condition? Shame on you, Flaskey for focusing on how to keep afloat your ship while the likes of Marriott and Disney and other reputable resort chains are watching you. Spend your money and time trying to improve your customer relations and presenting your company as something Americans can be proud of, or find somebody else who can do the job. As far as viewing my profile, I appreciate your interest in me and my book project. I also viewed yours. Congratulations on getting the position. Now that the world is watching, what are you going to do with it? Well that’s it for this week, remember if you have any questions or comments about any article, company or just need some sound advice, then use our contact page and we will get back to you. Welcome to another Friday’s Letter from America, this week Irene Parker looks at Whistleblowers of America and their report to the Veterans Affairs Committee. As we have reported in previous articles, we have received many complaints from veterans who have had very bad experiences with timeshare sales agents. These practices are unexceptable and need to be stopped, but that can only come from the top of the timeshare companies, if they have the will to do it! 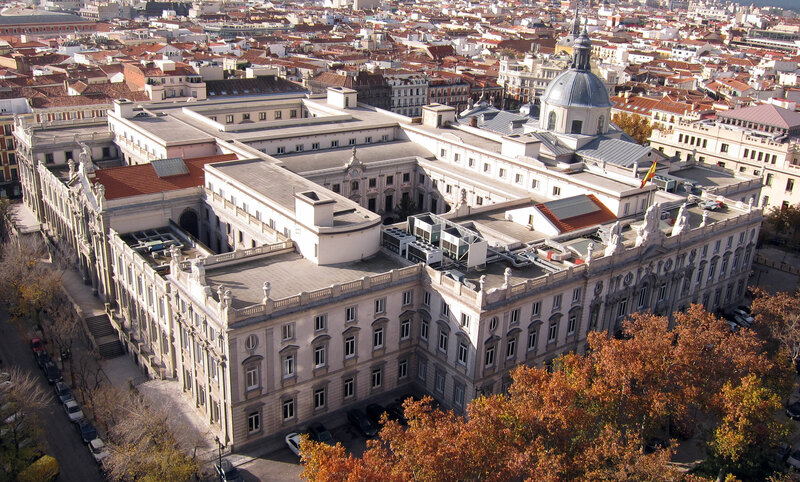 Now for some news from the Spanish courts, more legal history has been made at the Supreme Court in Madrid, Silverpoint has had another 2 judgements made against them, bringing the total of rulings from Spain’s Highest Court to to 126! 2 High Court victories against Diamond Resorts International. In the Diamond sentences, the clients have been awarded their full purchase price plus double deposit for a total of 19,504€ and 30,000€ respectively. These and the contracts for the clients above have all been declared null and void. In total the 7 sentences amount to over 370,000€ another expensive week for the timeshare industry in Spain. All these cases have been brought on behalf of clients from all over Europe by none other than those intrepid lawyers at Canarian Legal Alliance. As we near the end of July, we only have one more week where the courts are working, August is the annual close down, so we will see no new cases being heard until September. That our articles are based on false information. Many articles are submitted by our readers, which I edit, or the content provided by our readers. “My numbers are going up with new reports every day,” says Jackie Garrick, founder of Whistleblowers of America (WoA). Garrick created WoA earlier this year after discovering firsthand how difficult the process of reporting wrongdoing can be, and the personal toll it can take on the people blowing the whistle. By offering up the help and insight of former government insiders and whistleblowers like herself, Garrick is hoping to not only encourage more people to come forward, but also to simply support them once they do so. So far the only information available on timeshare whistleblowers concerns a lawsuit in which a jury awarded former Wyndham timeshare sales agent Trish Williams $20 million. She is also a rarity: a whistle-blower who has succeeded in bringing to light abuses at a powerful corporation that wanted to keep them hidden. Despite several relatively recent Attorneys General investigations and settlements, lawsuits galore, and a flood of internet complaints, the timeshare industry continues to place blame on their customers and on advocacy groups. In other words, the industry believes Inside Timeshare either invented 500 timeshare complaints or that the 500 members would be happy timeshare members had they not read Inside Timeshare articles or joined one of several members sponsored advocacy Facebooks and websites. Almost all of the 500 members are highly educated, professional, high credit score citizens. At least they had a high credit score until they were sold or upsold into timeshare insolvency. It doesn’t matter how many millions love their timeshare. What matters is that the majority of the 500 families have alleged they were fraudulently sold a timeshare product. All but a handful received an automatic “You signed a contract” dismissal from the timeshare company. Don’t retaliate — Try to remember not to treat employees (timeshare members) that have complained about your company any differently than those who have not. Be careful in disciplining whistleblowers for other misconduct — If you have a whistleblower in your company that needs to be disciplined for other conduct you must be very careful. Get evidence to support your claim that you are disciplining for reasons other than the whistleblowing and make sure the employee knows the reason he or she is being disciplined. Following the above advice would eliminate the need for timeshare advocacy groups and whistleblowers. Jackie presented testimony to the House and Senate Committees on Veterans Affairs March 14, 2018. She included Timeshare Advocacy Group’s veteran timeshare fraud report in her statement. Several of the 62 veteran timeshare members we have assisted struggle with disabilities and PTSD as described in the report. Jackie believes that retaliation can cause PTSD. The veteran population has very complex needs due to unique exposures/injury during military complicated by having two plus significant medical problems in one patient. Camp LeJeune: Due to water contamination at the Marine Corps Base, Camp LeJeune, increased reports of cancer in veterans and their families have been documented over the last several decades related to the solvents in water. Although WoA recognizes that it is not inherent within the VA mission to protect veterans from fraud and scams that could cost them their benefits, it suggests that it could be assistive in educating veterans against these unscrupulous tactics. For example, WoA has had multiple complaints from veterans related to timeshare deceit and bait and switch tactics, which are defined by the FBI as fraud for profit. Often elderly veterans are mentioned as being targeted by the Timeshare Advocacy Group, TM which fights for active duty and retired military who fear losing their security clearance, career, homes or other assets. Foreclosures and financial distress because of these misrepresented investments are happening every day to elderly disabled veterans and their families. In the past, VA has cooperated with the Consumer Financial Protection Bureau (CFPB) over mortgage and other loan scams that caused financial hardships for veterans. Home loans and timeshare loans are identical as both are reported as foreclosures. WoA asks that Congress consider a role for the VBA Employment and Economic Initiative (EEI) could play in cooperation with CFPB to educate and protect veterans from unscrupulous financial predators and fraudulent practices. Jacqueline Garrick is a former Army social work officer who has worked in the Departments of Veterans Affairs and Defense as well as for the House Veterans Affairs Committee. She is a subject matter expert in mental health and program evaluation. She is an advocate for disabled veterans and the use of peer support to improve resilience in traumatized populations. She founded Whistleblowers of America in 2017 based on her experience reporting attempted fraud with DoD Suicide prevention funds. We thank Jackie and Whistleblowers for their support. It is our hope that through public awareness and knowledge, the consumer will be better able to make an informed decision as to whether a timeshare, especially one financed at 17%, is a good idea for the family. That’s it for this week, Friday is upon us and the weekend beckons, on Monday we will be publishing the court cases against Diamond and how Spanish law is protecting consumers, we will be comparing this with what is happening across the Great Lake with our US cousins. Inside Timeshare would like to thank all contributors to these articles and also to those who supply the evidence and information on the “fake” companies that are trying to rip you off. It is your valuable information which goes to help and save others from these unscrupulous charlatans. 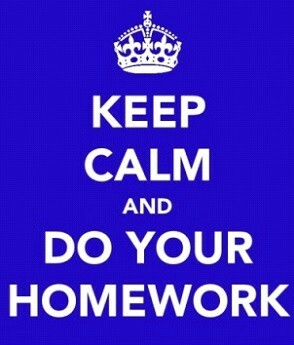 Remember to check, check and check again, doing your homework will save you your hard earned cash. If you are unsure how to check, then use our contact page, we will be happy to point you in the right direction. 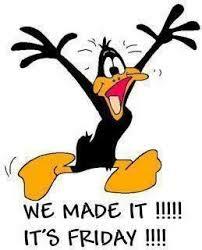 Have a great weekend and join us again next week at Inside Timeshare. Welcome to the first Letter from America for June, this week Irene Parker follows on from Haley Saldana’s Tuesday article, but first we look at the end of the week in Europe. Over the past few weeks we have been issuing various warnings on some very dubious claims companies and fake law firms, we have now received some new information about one called Abogados Lopez. In the past warnings the name of the lady on the phone was Hope Brugge, well it seems that Hope has now changed to Megan Haywood. The pitch is the same as before, checking the details of how much they paid etc, before they file the case at court, the a day or so later the great news comes in that they have won the case and the court has awarded a substantial amount. Yes you guessed it they need to be paid to release the money. This week has also been busy with the courts, Silverpoint has been on the receiving end of yet more Supreme Court rulings, with four in one week, this makes a total of 118 against the timeshare industry as a whole. There have also been six sentences issued in the Courts of First Instance against Anfi del Mar and Silverpoint, with the total being awarded by the courts to the clients amounting to over 409,000€ plus in most cases the return of legal fees and legal interest. The contract have also been declared null and void, leaving these client not only financially better off but timeshare free. All these cases were brought on behalf of the clients by none other than those intrepid lawyers of Canarian Legal Alliance. Diamond Resorts International filed a first amended complaint for damages, injunctive and other relief against Judson Phillips, Esq., Castle Law Group, P.C. 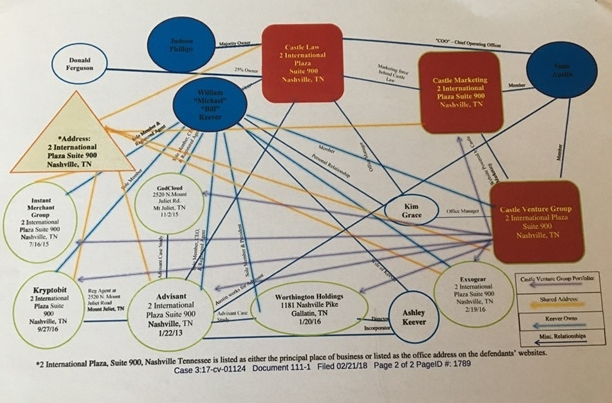 and 24 other defendants in the US District Court of the Middle District of Tennessee on February 21, 2118, in an effort to untangle Defendants’ web of deceit and so as to end Defendants’ improper and legally inappropriate schemes, and in doing, not only vindicating its own rights, but also safeguarding the unsuspecting public and positively impacting the timeshare industry at large. Timeshare developers say timeshare exit companies like Castle Law are targeting timeshare members, enticing them to get out of their timeshare contracts. Some of these exit companies charge thousands of dollars upfront, but members are held in suspense for months or years, only to learn they were not released from the timeshare contract. On the other side of the dispute, timeshare members have been contacting Inside Timeshare, desperate to be released from timeshare contracts they never knew were perpetual, and had little or no secondary market. Two former Castle Law employees, a director of business development and an attorney, relate their experiences working for Castle Law Group, PC and Castle Marketing Group, LLC in depositions filed. I reached out to both employees through Linked-In and the attorney’s law firm. They did not respond. Over a year ago I received an email from Carly Vaughn, former public relations manager and content writer for Castle Marketing, asking if I would be interested in writing for the Castle blog. I declined the offer. We first published an article about developer lawsuits against Castle Law and Judson Phillips August 22, 2017. Improper and unethical high pressure sales tactics. Gross and deliberate misrepresentations regarding benefits of ownership. Gross misrepresentation regarding the ability to utilize timeshare points to cover fees associated with membership and exchanges. False information regarding the ease and/or ability to resell for a profit. False sense of urgency to purchase the same day. A “cease and desist” letter demands all communication with the client, including collection attempts cease under the Fair Debt Collections Protections Act. It was my understanding, through observations, that many prospective clients engaged the services of Castle Law without ever speaking with any attorney. Strangely, I agreed to have a rubber stamp made of my signature to be used by assistants, which made me uncomfortable. While at Castle I was shocked to learn telephone calls were being recorded without my knowledge, whereby neither of the two parties was aware they were being recorded. I learned of this practice from Sean Austin, president of Castle Marketing, which I now know to be illegal. After I left Castle, I became aware that Castle Law sent out letters to their purported clients that they never represented them. I became aware of such letters after I was forced to defend my license to practice law against four bar complaints against me. All four complaints were eventually dismissed. This declaration was provided by the “assistant director of affiliate relations” who later served as “director of business development” for Castle Marketing Group as an independent contractor in 2015. I observed that Castle Law allowed the outside affiliates to use Castle Law Group’s engagement agreement without an attorney being present or consulted. I observed that timeshare owners were being led to believe they were paying legal fees entirely to Castle Law Group, which was not true. Later Sean Austin told me Castle Law Group was not making any money, which was “not legal,” and that funds had to be pulled out of Castle Marketing Group and transferred to Castle Law group, so that it would appear as if Castle Law Group was earning revenue as part of the transaction. The TPEs kept their portion of the amounts paid for legal services and sent the rest to Castle Marketing. Castle Marketing then transferred funds to Castle Law Group and the many other business entities operated by William Michael Keever and Sean Austin (pictured above). I observed that attorneys at Castle Law Group rarely, if ever, met with or spoke to the timeshare owners. Sean Austin told me that the staff needed to keep the timeshare owners happy as the lawyers did not have time to confer with them. At times a year or more went by without any action taken by Castle Law Group on behalf of the timeshare owners. I witnessed that timeshare owners who persisted with their complaints, or demands to speak with an attorney, would be placed on an “escalation sheet.” Staff members would, in some instances, contact customers to calm them down and say whatever was necessary to keep them hanging on until the deadline for their money-back guarantee had expired. My job became so stressful as a result of timeshare members and TPEs demanding answers, my health was impacted and my doctor advised me to quit my job. The funds collected from the legal fees paid to Castle Marketing Group were funneled to other business ventures owned by Sean Austin and/or William Michael Keever. These businesses included: Castle Venture Group, Worthington Galleries, God Cloud, ExxoGear, Advisant, Kryptobit, and Instant Merchant Group, among others. Sean Austin expressed to me on more than one occasion that the payroll and budget for all these companies was dependent on my work with the TPEs and the funds generated. When I expressed my concern that “clients” would complain to the Tennessee Attorney General, Sean Austin stated that Castle Law Group was registered only in the name of attorney Judson Phillips, so Sean Austin, William Michael Keever and the staff, as non-lawyers, would be shielded from any liability or fault. The Director left Castle Market Group in 2016. To date Inside Timeshare has received 437 requests for assistance from timeshare members who allege they were defrauded by unscrupulous timeshare sales agents. It is our hope a meaningful dialog will develop to clean up both sides of the timeshare sale. Contact Inside Timeshare or one of these self-help groups before paying anyone to get you out of a timeshare contract. So that’s it, the end of another week in the world of timeshare, a week that has seen more fake companies emerging and many cases against some of the major timeshare companies being resolved in the courts. If you require any information or have any comments on any article published, use our contact page and send us a message. Have you been contacted by a company with a similar story to the ones published and want to know the truth, or have you found one on the internet, then contact Inside Timeshare and we will help you to find the information you need. Remember to do your homework before engaging with any company, it will save you a lot of heartache in the end. Have a great weekend and join us next week for more “Nightmares on Timeshare Street”. In this week’s Letter from America we welcome the first article from Ken Silva, with his Nightmare on Timeshare Street story. This is also made more complicated due to the involvement of Barclays, as this is considered as a separate agreement to the timeshare. But first we look at the news from Europe. It has now been confirmed that the enterprises owned by Mark Rowe, are being investigated by South West Police, this follows the report at the beginning of January of the raids conducted by Trading Standards at several premises used by these companies. This followed after an investigation by the “Scambuster Team”. Could this now be the end to the Mark Rowe Enterprises? If we thought that things could not get any stranger in the world of timeshare, then you would be wrong. For now on with today’s Letter from America. Timeshare Consumers, take my advice and do due diligence before buying a timeshare. Protect your family. Do not get your family into the mess we are in. Do your research. There’s a reason there are so many timeshare members on Facebook and websites seeking to dump their timeshares. I’m sure there are sales agents selling the product honestly, but you decide about our sales agent after reading what happened to us. All you have to do to prove we are telling the truth is to get on our booking site and try to find a vacation based on what we were sold. Attorneys General, please, do not dismiss our experience. We are fighting to get our money back, as we still owe $10,000 on a Diamond Resorts Barclaycard credit card. We hope to escape the “ironclad” STAY VACATIONED contract. In May of 2016 my wife and I purchased a Diamond Resorts International (DRI) Sampler (trial) package for $2,995 in Las Vegas. Using our Sampler points we booked a stay at Diamond’s Ka’anapali Resort. We purchased 2,500 Hawaii Collection Diamond points for $13,000. Our sales agent was Karen Cossettee. Ms. Cossette told us we would be able to book one to three weeks of vacation anywhere. Our son Jacob, age 3, has a serious medical condition so we need to vacation close to home as we have to be near medical facilities. We had to cut both our Hawaii and Las Vegas trip short because our son experienced a medical emergency back home. After we returned home, we got on the booking site, but found no locations meeting our requirements. About the only bookings you can get with 2,500 points are for places like Branson Missouri or Gatlinburg, maybe a one bedroom in Orlando. It is impossible to stay one to three weeks in a one bedroom in California near a major medical facility. Jacob has cerebral palsy. He has been diagnosed failure to thrive and is on a feeding tube. He requires 24/7 care and he is a case study at Stanford University Medical School. We cannot fly because of his condition. We booked Tahoe recently, but cancelled that trip because even Tahoe is too far. Las Vegas November, 2017. We stayed at DRI’s Cancun resort. There the Diamond sales agent, Davia Hunsicker said, “Hawaii lied to you! You can’t go anywhere on 2,500 points.” We were told Hawaii Collection points are expected to be slammed with assessments and 10-14% increases in maintenance fees because Hawaii is so expensive and subject to weather damages. However, in Hawaii they told us maintenance fees increase only 6%. They went on to explain that Hawaii was going to have a $1,000 plus assessment for damage to shores. Ms. Hunsicker told us U S Collection maintenance fees increase only 2% on average. The Vegas agents told us the only way out of this situation was to move our Hawaii points to the US Collection and to do that we had to buy 4,500 points for $18,000 to own 7,000 U S Collection. Like in Hawaii, we were shown several places we could stay that met Jacob’s needs. Again, when allowed on our booking site (again after the rescission period), it was a different inventory. I called DRI and reached a Platinum agent who said, “I’m with the Platinum desk. I can pull strings.” She found a desirable option, Pacific Grove in California. This was one of the locations we were shown in Vegas, only in our inventory it would require 22,000 points. Timeshare companies can dodge the rescission period by not allowing access to the booking site until after the rescission period. In our case, I tried to log on two days after signing but was told my account was in escrow. The rescind period is seven to ten days, but it takes nearly 30 days before you can access the booking site. DRI sales agents are so good at having all the answers and they will promise you the moon. Ms. Hunsicker also said we could get an extra 8500 “ghost” points that would upgrade us to Silver by saying we owned an RCI week. She instructed us to just nod to the QA person when they ask about RCI and we would be able to get the extra points, but not to say she told us because, “You might get me fired if they find out, but that way you’ll get another 8500 points.” She advised us to purchase an RCI week at Sam’s Club for $500 – $600 and then trade it in to Diamond for 8,500 points. She said with Silver benefits we could have food stocked and luggage forwarded. This was a tremendous benefit because of Jacob’s needs. However, when I read about these benefits the luggage benefit costs additional funds and the food service was not available at the Silver level. We asked about what would happen if we could no longer use the points and were told DRI will work something out and were informed DRI has a website where you can sell points. DRI points are virtually worthless on the secondary market. We would have rescinded our contract immediately if I had been able to see that we could not use our points as promised. Diamond salespeople will offer their cell and promise to be available and act like they genuinely care about you (like ours did concerning Jacob), but then disappear after a few days of friendly texts. I work for a faith based non-profit. We teach anti-bullying and leadership skills. Our credit score is over 800. I am 33 years old and my wife is 31, caring for our son’s severe medical issues. To think that timeshare companies allow these practices and hides behind the fine print is astonishing. 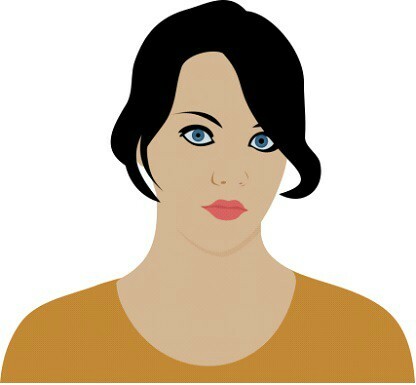 I published a review on Trust Pilot. We regret to hear of your experience as we are known in being forthright and delivering top notch service. Please email us at [email protected] for further assistance. Edit: Diamond Resorts reached out, as seen below, however, they have not responded to my email to them as of 1/25/18. Also, they are not known for their top notch service. In fact, look on Facebook for the various groups of people who are in positions like mine, or the many other reviews on Trust Pilot. It often takes DRI 45 or more days to get back to you and many are ignored. When you call customer service, they tell you there’s not much they can do to help. If Diamond was forthright and delivering top notch service, they would refund victims their money. I’m glad I have a background in Social Justice and Social Media. I hope our pain will save others. Since Ken submitted this article a week ago, Inside Timeshare received five more complaints directed against this same sales center, one against the same agent Ken complained about. Especially in California, there have been complaints from Monarch owners of deeded weeks, coerced into giving up their deed and buy points, only to find out they did not have access to the week they had used and enjoyed for years. All timeshare resorts have non-member inventory that always guarantee non-members can spend the money but members often cannot find availability. Diamond is not the only resort with complaints like this. New York Attorney General Eric Schneiderman settled with The Manhattan Club for $6.5 million. Clearly, there is a problem industry wide. Timeshare deception and “bait and switch” is not a practice limited to Diamond, but in the case of DRI, licensed resale brokers will not even accept a Diamond listing. It’s bad enough if you can sell a timeshare if you were lied to, (often a timeshare is worth only pennies on the dollar), but with Diamond it is worse because it has been widely reported Diamond has virtually no secondary market. Try calling some of the members of the Licensed Timeshare Resale Brokers Association and see what they have to say. We really do hope timeshare developers will work with us to stop predatory timeshare sales. Thank you Ken and Irene for today’s article, it is with these stories that everyone becomes aware of what is happening, including the developers. Let us hope that they take note and start to change how they operate. An important commentary has been published in the press regarding letting restrictions on tourists (especially in the Balearics and in Catalonia) in 2017. We would like to point out that MVCI Management, S.L. the only licensed company that has the right to rent properties in MVCI Resorts in Spain for themselves or their owners. Weekly owners who rent their time-share weeks either by themselves or through third parties face fines of up to € 400,000. Due to the complex nature of the legislation in question in Spain, we recommend that you obtain legal advice on your individual circumstances before renting your weeks outside the MVCI rental program. If you have any questions, please do not hesitate to call us or send an e-mail to [email protected]com. We will obviously bring you more on this as we get more information as and when we get it. If you have any questions or require any information on this or any other article published, contact Inside Timeshare, we will be pleased to help and point you in the right direction. 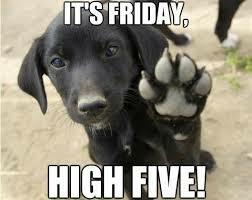 So that is it for another week, Friday is upon us and the weekend beckons, have a good one. In this weeks Tuesday Slot we welcome a new contributor Karen Krokosh, but first a quick look at what has been happening in Europe especially in the courts. The year has certainly not started well for the timeshare industry, the first week of January has seen the Supreme Court in Madrid rule on 6 occasions against Silverpoint from Tenerife. This court has declared these six contract null and void as they were over the 50 year period allowed by law, what is known as perpetuity, they also contained the points or floating weeks systems. The court also reaffirmed the position of the taking of any payment within the given cooling off period, even if taken by a third party as prohibited. This cooling off period was introduced to protect consumers and allow them to decide whether they wished to continue with the purchase, as these are usually made as decisions on the day. The total amount the court has awarded in these cases is a staggering 321,274€ with legal fees and legal interest. In another case against Silverpoint, the High Court in Tenerife has ordered the return of over £31,000 plus legal fees and legal interest to a British client. Again the contract was declared null and void as it contained the points or floating weeks system. In the Court of First Instance at Maspalomas, another British client has been awarded over £19,000 plus legal fees and legal interest, with the contract being declared null and void. In this case the contract was sold by Anfi and was for a duration of over 50 years, which is not allowed under the Spanish Timeshare Law 42/98. All these cases have been brought on behalf of client by the law firm Canarian Legal Alliance, so contrary to what the timeshare industry is is saying, this law firm is doing what it says and winning on behalf of their clients. As they say the proof is in the pudding! On with this weeks Tuesday Slot. 2.5.1 A Member is not prohibited from periodically renting the Accommodation reserved for the Use Period or the reserved Other Redemption Opportunity pursuant to these Club Rules. However, the use of Points to reserve Accommodations or Other Redemption Opportunities for commercial purposes or for any other purpose other than the personal use of the Member or the Member’s family and guests is prohibited. Use by a Member of public advertising or an online website to seek renters shall be deemed a prohibited commercial use. Members who are primary developers of Club Resorts (that is, members of the Diamond Resorts International group of companies) and providers of Other Redemption Opportunities are specifically exempted from this restriction, and are entitled to use their reserved Accommodations and reserved Other Redemption Opportunities for promotional, rental, or other commercial purposes. Diamond is not the only timeshare with little or no resale value. While some timeshares like Disney, Hilton and Marriott can be sold, it has been widely reported Diamond’s non-deeded points are especially difficult to sell. I contacted a few members of the Licensed Timeshare Resale Broker Association. Not one would accept a DRI listing, feeling the restrictions the company places on the use of secondary points are too severe. SMTN agent Sandra Van Lanen suggested a list price of $12,000 for 3,000 points. We paid about $12,000, so in no way was that price realistic as I dropped my price from $12,000 to $7,500, $5,000 and $1,000 with no offers. What was SMTN’s response? They said, “It takes time.” There are about 15,000 Diamond Resorts members on a variety of Facebooks and websites and I’ve learned many of them would be willing to give away their Diamond points. I would have been laughed off these sites posting these ludicrous amounts. I am committed to exposing this company and others that are taking advantage of those already burdened by loan payments and maintenance fees. The original “Advertising and Marketing” product was priced at $1,798. I was given a discounted referral of $1,498 USD, but paid initially a deposit of $699, agreeing to pay the remaining balance of $799 when the timeshare sells. Since that is never in almost all Diamond cases, I decided to cancel the lifetime listing. When you cancel, SMTN has the right to bill you for the remaining balance. I have been trying to get rid of this timeshare for years. I was so relieved to find the member sponsored Diamond Resorts Advocacy Owners Facebook where I learned that Diamond has launched a new program called Transitions and from what Inside Timeshare told me, I am eligible! I am hopeful, waiting to hear back. After Friday’s article about the importance of Better Business Bureau ratings, I checked the SMTN BBB rating. My red flag was raised when I learned Karen paid up front money to list her Diamond points. Accepting upfront money to sell your timeshare is illegal in Florida, but it seems companies can work around the law by calling it an ad or subscription fee, or a market analysis. SMTN has been sold twice since 2010. Scott Roberts is the owner of Vacation Innovations and SMTN is a wholly owned subsidiary of V.I. The BBB has assigned SMTN a D rating. I called SMTN and talked to Mike. The first question I asked Mike is, “Can I rent my DRI points through SMTN?” Mike said renting DRI points is no problem. When I informed him DRI does not allow the renting of points through a third party site like SMTN, Mike said he would have someone from legal call me. We did not hear back. Irina Allen is one DRI member who had her Diamond account suspended, accused of renting points on RedWeek. This is what BBB notes on SMTN, providing a good example of how the Better Business Bureau can assist consumers by providing important information. According to BBB files this company has a pattern of complaints that centers around the company’s advertising claims. Complainants allege they are guaranteed a time frame in which their timeshare will sell. Many consumers allege the company makes a promise that their timeshare will sell quickly. The company responds to the complaints and reiterates the company policy which reads the company does not guarantee when a timeshare will sell. On March 23, 2016 BBB reviewed the complaints on file and determined the pattern described above has not been eliminated. BBB sent a letter to the company requesting cooperation in responding to and eliminating the pattern of complaints. BBB received a response from Sell My Timeshare Now (SMTN) who addressed concerns raised. SMTN has introduced a video that consumers are encouraged to view that clearly outlines their services. In their business model explanation SMTN says that: “…SMTN never promises buyers are waiting; does not request wire transfers, greendot moneypak payment or purchase of prepaid credit cards; does stand behind the services it promises and always strives to deliver excellent service to all of its clients”… Additionally, SMTN hired a law firm to review the complaints and details surrounding each one. This review of these recordings has shown that the communications between SMTN and individual consumers (when they are available) has been shown to differ. 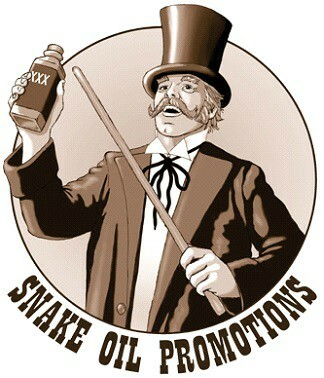 SMTN has also instituted training for salespeople. They are to only make promises that are consistent with the guarantees and promises made by the company in writing. SMTN is recording calls made by their sales people to confirm the training is being followed. SMTN now has a policy for their salespeople who consistently fail to comply with the training which results in their dismissal from the company. Finally, they informed BBB that they will be further training their customer care employees to offer to help earlier in the process and be sure to make certain the consumer is satisfied with the resolution. On December 5, 2017 representatives of SMTN met with the BBB to update us on improvements they are making to their organization. They have taken steps toward improving customer service by hiring a new Customer Service Manager. They have put in place an “audit group” that will contact consumers on the day they sign the contract with SMTN and then again 90 days out as a way to ensure customer satisfaction. It is anticipated that by proactively working with their customers, the number of complaints will be reduced substantially. BBB will work closely with SMTN to follow their progress and to continue to address any complaints that may come in. Consumers are, once again, requested to contact SMTN prior to filing a complaint with BBB at 1-877-815-4227. Sell My Timeshare Now, LLC has received 1.93 out of 5 stars based on 34 Customer Reviews and a BBB Rating of D.
This content is provided by the business and may contain advertising. BBB does not review or endorse this content. According to a post found on RedWeek, published on the internet, SMTN does seem to charge a considerable upfront fee. A member had asked whether they should buy timeshare points through SMTN. Sometimes you will find a timeshare of interest on the SMTN site which may be available at a price acceptable to you. HOWEVER, you will have NO say or ANY choice regarding the “closing” entity. Closing costs through SMTN are quite excessive — multiple times the cost of customary and usual closing costs. You have no option to conduct a SMTN transaction “in person”, but that is the case in most any resale timeshare transaction, so SMTN is not unique in that regard. It would frankly be both highly unusual and entirely unnecessary to conduct a resale timeshare transaction “in person”. Objective, third party “closers” who have no association with either buyer or seller (not an available option via SMTN, unfortunately) look out for the interests of BOTH buyer and seller, holding all funds in escrow until closing if necessary. This obviously eliminates any need for any travel or physical presence by either the buyer or the seller just to “close” on a resale transaction. With SMTN, you essentially have to determine ALL of the collective costs as a buyer and then ask yourself if that bottom line figure is acceptable to YOU to acquire that particular timeshare listing, despite the exorbitant closing costs. Far more often than not, the answer will be NO, but there are (relatively rare) exceptions. In all fairness, in the performance of your due diligence you really have to look at the big picture and ask yourself if the TOTAL expenditure involved justifies acquisition of that particular timeshare for YOU. You obviously first need to accurately determine the bottom line total figure before you can possibly make that fully informed evaluation and personal decision. SMTN of course has nothing whatsoever to do with maintenance fees, regardless of the resort involved. Maintenance fees are determined only by individual resorts — and they are engraved in stone. That said, I would certainly want to verify the accuracy of any figures SMTN indicates as maintenance fees. This is very easily done by contacting the resort directly for confirmation of any figures claimed by SMTN in their listings. Last edit by ken1193 on Nov 28, 2017 05:27 AM. Thank you to Karen for her advice! We look forward to hearing more from Karen as our first new Inside Timeshare contributor of 2018. Contact Inside Timeshare or one of these member sponsored U.S. timeshare groups if you need help with a timeshare. It can save you money. If you require any information regarding this article or any other published on Inside Timeshare, please use the comments or contact form and we will get back to you. If you are considering using the services of any company and are unsure of how to check them we will also be pleased to help. Welcome to the first Friday’s Letter from America of 2018, we may be only 5 days into the New Year, but the Supreme Court has just made another ruling against Silverpoint. Another client of Canarian Legal Alliance has had their contract with Silverpoint declared null and void, with the return of over £11,000 plus legal fees and interest. This now makes the number of rulings from the Supreme Court made by CLA to an astonishing 83! Once again it is that time when maintenance bills start to drop onto the door mat, for many this is a difficult time, especially for the elderly who can no longer afford to pay the ever increasing bills. For one elderly lady which Inside Timeshare has been highlighting for some time it has happened again. This is the case of Mrs B, as you will remember, MacDonald Resorts refuse to acknowledge that she no longer owns her timeshare at Dona Lola in Spain. Mrs B and her sister, who are now in their late 80’s, employed the services of a company to be rid of their timeshares around 3 years ago. This company “sold” the timeshares and transferred them to another person, this was duly notarised by a notary in Spain. The Lanzarote timeshare has caused no problem, but MacDonald’s refuse to accept the transfer. Mrs B has now received another demand for over £3000 for maintenance, obviously this will end up being sent to a debt collection agency which will incur even more fees. It must also be remembered that they had not used the timeshare for over 10 years, yet still paid the maintenance until the transfer. Both are virtually housebound and cannot afford to pay these extortionate amounts. Tony Hetherington has published several articles about MacDonald Resorts and their chasing of maintenance fees, even after the death of the owners or severe illness. MacDonald Resorts is one of the worst offenders in the timeshare industry for this type of behaviour, it is companies like this that have given timeshare the reputation it has. Greed it seems is the order of the day. Now for this weeks Letter from America. Hope for Beleaguered Timeshare Members! The Nightmare on Timeshare Street article scheduled for today has been cancelled because the resort listened and responded to the member. We don’t yet know the outcome, but at least the member has not been dismissed or ignored. The customer is not the enemy. The enemy is the timeshare sales agent that “pitches heat” making outrageous claims to sell points, knowing they are protected by the oral representation clause and that there is no federal enforcement. If you have a complaint about your timeshare, first and foremost, contact your resort. It’s surprising how many who contact us have not tried to resolve their issue with the timeshare company before contacting an attorney or an exit company. It is the opinion of Inside Timeshare, in most cases, a member can accomplish what an attorney or an exit company can accomplish by following our complaint form. We are here to answer any questions for free. In the U.S. it’s best to begin with the Better Business Bureau, although the BBB is not a regulatory agency. It is a nongovernmental nonprofit that serves to promote a community of business that consumers can trust. The BBB does not solve consumer disputes. Success is not based on the outcome, but whether the business responded or not. A BBB complaint is the easiest to file and can serve as your blueprint as you work your way down the list of appropriate agencies. File a complaint only if you feel you were a victim of deceit and bait and switch. “I can’t afford this” or “there is never any availability” or “you can always book cheaper online” are not specific enough complaints. ⦁ Business’s complaint history with BBB. Number of complaints filed with BBB against the business. The size of the business. If complaints have been filed, whether in BBB‘s opinion the business appropriately responded to them. If complaints have been filed, whether in BBB’s opinion the business resolved the complaints in a timely manner to the customer’s satisfaction. If complaints have been filed, whether in BBB‘s opinion the business made a good faith effort to resolve complaints, even if the customer was not satisfied with the resolution. If complaints have been filed, whether in BBB‘s opinion the business failed to resolve the underlying cause(s) of a pattern of complaints. The age of resolved complaints. Older resolved complaints have less of an impact on the rating than newer complaints. ⦁ Failure to honor commitments to BBB. ⦁ Licensing and government actions known to BBB. ⦁ Advertising issues known to BBB. BBB Accreditation: If a business has been accredited by the BBB, it means BBB has determined that the business meets accreditation standards, which include a commitment to make a good faith effort to resolve any consumer complaints. BBB accredited businesses pay a fee for accreditation review and monitoring for continued compliance. Next week: The Consumer Protection Agency – What’s left? Contact Inside Timeshare if you have questions about this or any other article published, we are here to give you the best advice possible. Welcome to Start the Week, we ended last week with a couple of more Court of First Instance rulings against Anfi. Once again the courts awarded back substantial amounts to the clients as well as declaring the contracts null and void. This does make the claims of the CEO of Anfi, that they are not losing any cases rather shallow to say the least. At the Court of First Instance in Arona, Tenerife, the judge has ordered International Holidayway Marketing SL, to repay over 7,000€ plus legal fees and legal interest. The clients contract has also been declared null and void. Following on from the ongoing dispute at Los Claveles, Inside Timeshare has been receiving many comments from both sides. There does seem to be very wide difference of opinion, the following comment has been received with author asking to remain anonymous, unless Inside Timeshare deems it helpful to name him. At this point it has been decided to leave it anonymous, this letter is from a pro-committee owner. Does not respect or abide by the Constitution and Statutes that apply to our resort? Sacks well respected members of staff without justification? Does not comply with the orders made by the Arbitrator, even though they are participating in the Arbitration? Employs staff that physically and verbally assaulted our Club President, Carol Parkinson (who is over 70)? Produces false charges to the Spanish Police about Carol Parkinson and Albert Fletcher, causing Carol to be arrested in Tenerife and having to return there later for a court hearing? Lies to Spanish courts that they cannot contact Albert Fletcher whilst continuing to send him letters? The resounding answer is “No”. Onagrup has twice had the opportunity to talk, before and after the 2015 AGM, and on both occasions has failed. The overwhelming majority of owners that the Club Committee is able to reach (because of Onagrup’s refusal to hand back the Club’s membership register), directed the committee to stop talking and instead go to arbitration to settle the dispute. The Club Committee has just issued to members an initial response to the latest letter from Snr Castro, MD of WimPen Leisure Management SA which again breaches the rules of confidentiality of arbitration and which again has been sent out using the Club’s membership register without permission. The impression given by Mr Castro is that only WimPen has had success in the arbitration and that a few minor matters remain for the appeal court. On that basis he infers that the arbitration was a waste of time and money. As Mr Castro knows very well but fails to mention, WimPen was either refused permission to appeal, or withdrew its appeal, against the arbitrator’s findings that the committee formation and the AGMs and SGMs held by the committee were legal. This means that appointing Hiro Bulchand as the new Administrator was also legitimate, contrary to WimPen’s claims. Which in turn means that WimPen’s administration of the Club since the management contract expired in March 2017 has been illegal. The committee’s belief is that all of these issues were raised for appeal by WimPen in order to destabilise the Club and prevent the Club having any leadership, clearing the way forward for a takeover by Onagrup. Turning to the financial information provided by Snr Castro, none of these figures has been audited. In addition, owners have been refused repeatedly their constitutional right to inspect the financial records and accounts by WimPen/Onagrup. It is also worth mentioning that the accuracy of the financial figures previously provided by Onagrup for the Escritura owners’ AGM in May 2016 was highly questionable. Whilst it appears that the resort’s funds are growing, these figures cannot be regarded as reliable until audited by an appointed accountant and inspected by the Club Committee. The bottom line is that there is more to running a timeshare resort than just making a profit. The Management Company needs to have the respect of the Owners and it needs to respect them. Onagrup has demonstrated from the outset that it is not a suitable choice for Los Claveles which has a fundamentally different ownership model compared to the other WimPen managed resorts, and as a consequence is most at risk of takeover. Ask any of the owners who have had their holiday ruined by Ongrup’s reckless rental policies of allowing noisy and disruptive groups of teenagers to book into the resort, and they will soon tell you that it is quality not quantity of rentals that is important. Unlike the tiny minority of disgruntled owners who are campaigning against the democratically elected committee, the huge majority of owners are completely united in getting Onagrup (and Trustee FNTC) out of Los Claveles through arbitration. This huge majority of owners directed the committee to enter into arbitration and they authorized the committee to incur the expense of legal representation. The appeal court judge’s decision is expected early in the New Year, and if he rules against Onagrup, the way will then be clear for the owners’ legitimately appointed Administrator to replace WimPen and get on with managing Club Los Claveles for all of the members. Inside Timeshare thanks all those who send in comments which are conducive to the debate, it is you the members who need to resolve this issue. Until all members are informed of the situation, then being able to make up their own minds as to which way forward is best, this will drag on and may incur considerable legal expenses. Whichever side you are on, the time to talk is now. In tomorrow’s Tuesday Slot with Irene, we look at the Billion $ lawsuit and why a Federal Court Judge has ruled in favour of Diamond Resorts International. There is also the story of Mary Bowling a former DRI sales agent, who has a case at the courts in Hawaii. Once again we highlight another military family falling foul of unscrupulous sales agents. As we were about to publish the first sentence from the Court of First Instance of this week has just come in. Once again it is against Anfi, the judge in this case has awarded over 5,000€ plus over 7,000€ in maintenance fees and legal interest, also declaring the client’s contract null and void. Watch this space for the news as it happens.